Do you want to buy K9 Advantix II? In this article, you will find a plethora of information on how this exceptional product offers maximum flea and tick control to greatly improve your pet’s quality of life. Read on and you will also know exactly where to purchase K9 Advantix II! 1.4 Where Can i Buy K9 Advantix II ? Manufactured by Bayer, K9 Advantix II is designed to prevent and treat common biting pests such as fleas, mosquitoes, lice and flies which can make dogs and their owners quite miserable. Choose a two, four or six month application based on the weight of your dogs and puppies from seven weeks of age or older. This product treats and repels parasites in all life stages for superior pet protection and the comfort of your loyal friend. Dedicated dog owners hate seeing ticks and fleas on their beloved pets, preferring to have happy and comfortable canine companions rather than itching, scratching and whining animals to contend with but are these pests a health hazard? Absolutely! 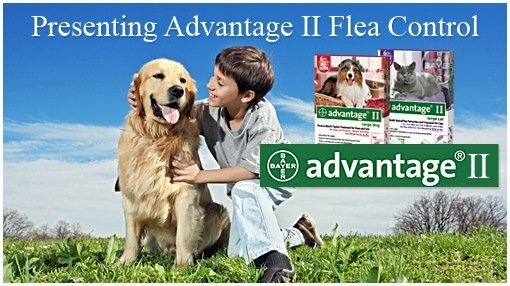 K9 Advantix II will protect your dog from a skin disease called flea allergy dermatitis, caused by dogs biting, scratching and losing hair. This condition can be caused by a mere handful of fleas, and can quickly spiral into a major problem. Fleas can also bring other risks such as tapeworms and anemia in more severe infestations. Ticks also bring health risks, carrying more than a dozen different diseases that can cause severe illness or death. Protect your dog from Lyme disease, Rocky Mountain Spotted Tick fever, Tularemia Ehrlichiosis and many other tick-transmitted diseases with K9 Advantix II so your canine will have a long and healthy life. Mosquitoes and biting flies can also transmit diseases and cause problems for dogs by feeding on their blood, saliva, mucus and even tears. These are also ways bacteria, viruses and parasites are spread to your pet. Research has shown that there are four life cycles in the life of flying pests: egg larva, pupa and adult. K9 Advantix II protects dogs from all four life stages and numerous health issues caused by mosquitoes and flies that feed on your pet’s blood and secretions. Smaller than fleas and somewhat lighter in color, you can prevent dog lice by using K9 Advantix II. While these pests cannot be transferred to humans, they carry harmful health issues for your canine companion. 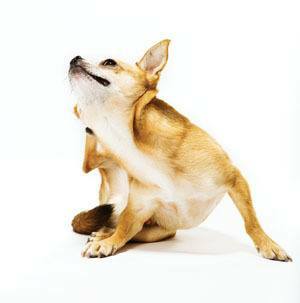 Your dog will become miserable with an infestation, often scratching, biting at their skin and whining. There are two varieties of dog lice which can plague your pet, those which feed on dead skin by biting your pet and those that feed on your dog’s blood. Just one female dog louse can lay up to one hundred eggs, making prevention an absolutely necessary step in pet care. Where Can i Buy K9 Advantix II ? There are many imitation pest control products available in brick and mortar locations as well as online, but do not be fooled by the similar names and packaging, or products promising results comparable to K9 Advantix II. You owe it to yourself, and to your dog, to purchase this authentic product from a reputable business to ensure premium protection from disease causing organisms that can rob your pet’s health and happiness. Consider purchasing K9 Advantix II from a reputable online company such as Amazon to enjoy lower prices and avoid imposters. You will also enjoy the added convenience of delivery, straight to your door without crowded stores, long lines and stressful traffic. If you are still unsure whether K9 Advantix II is right for your pet, find the peace of mind you need by reading verified customer reviews written by other dog owners just like yourself. Online businesses such as Amazon prominently display both positive and negative reviews for your consideration.